Cernunnos , the Horned God. 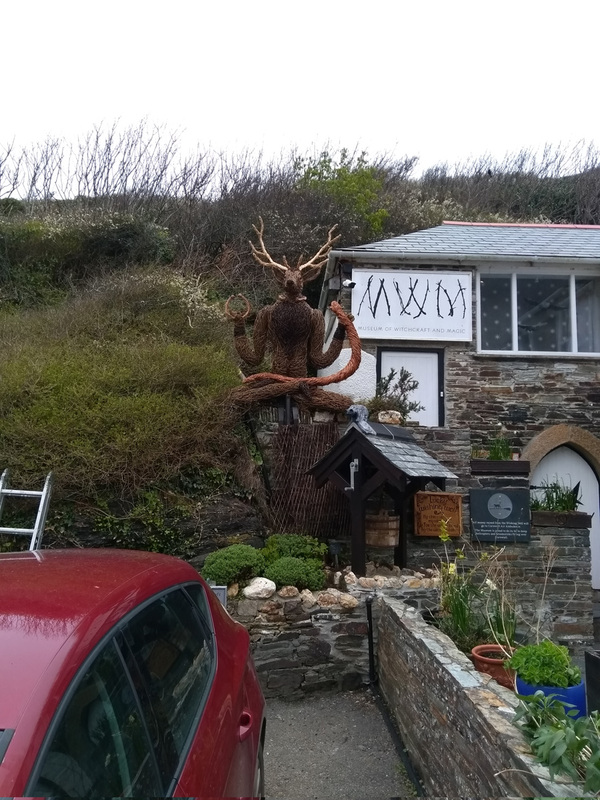 After having my figure of Pan outside the Museum of Witchcraft in Boscastle, Cornwall, it was time for a new sculpture. 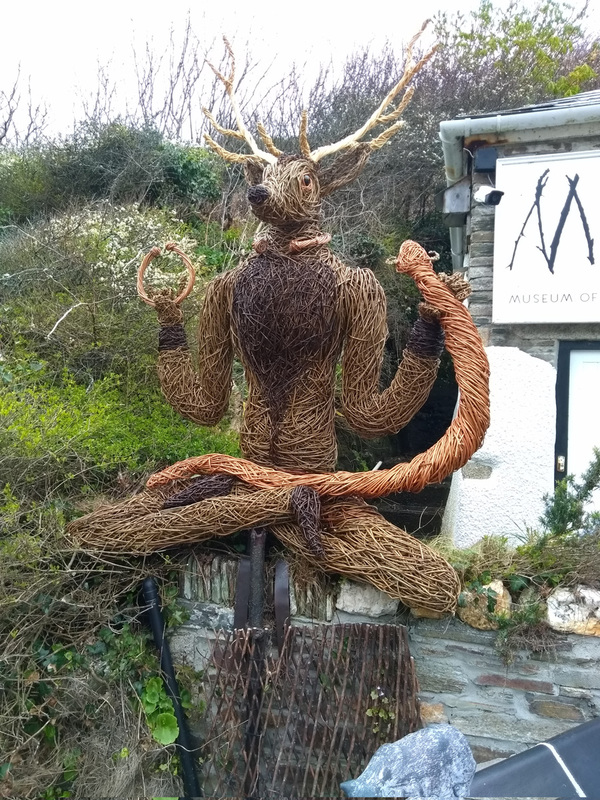 So the museum kindly commissioned one of the northern European god , Cernunnos. 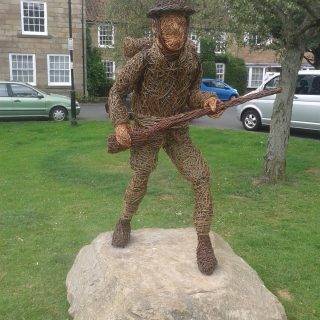 I took inspiration from the figure on the Gundestrop cauldron that was found in Denmark, but added a stag’s head to my sculpture as he is often depicted with one. In his left hand is a horned serpent and in his right, a torc, the symbol of kingship. 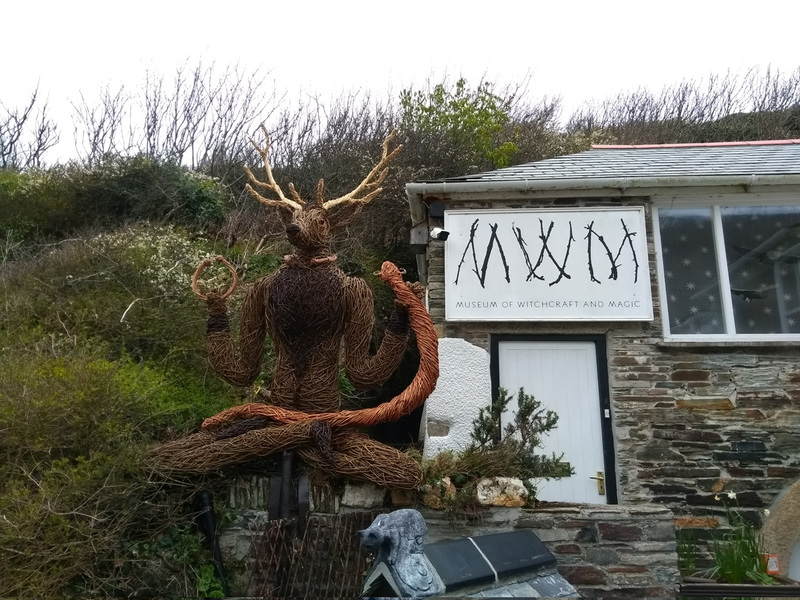 8 foot high Willow sculpture of Cernunnos, the Horned God. 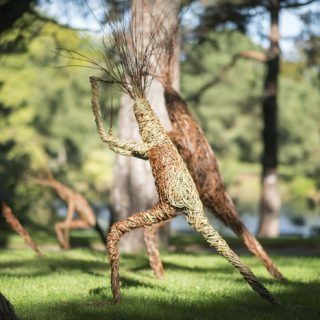 Made of various willows.